I started working on these at the same time as painting Poison Ivy, grabbing hold of the momentum I had at the time. Although these Objectives are fairly simple and basic models, since they are clearly gaming pieces (with game effects and rules), and each uses at least a couple of colours and is based, I am counting them towards my painting totals for the year! These are the official BMG Objectives from Knight Models, and since these were released the first Leader-specific Objectives have also been released (Joker's Gas Cannisters). These pieces were fairly quick to paint as you expect, and help me get ready to play in the March tournament at Titan Games that I will be attending. For my options requirements for a playable Crew, I have three Plants, a Blackgate Prisoner or two, and Deadshot to paint before March. I won't be using them all, but it covers a few configuration options, and I have started work on these. This mini was done pretty quickly by my standards, and for very practical reasons. I have signed up for a BMG tournament at Titan Games in March, so need a playable crew in time for that. 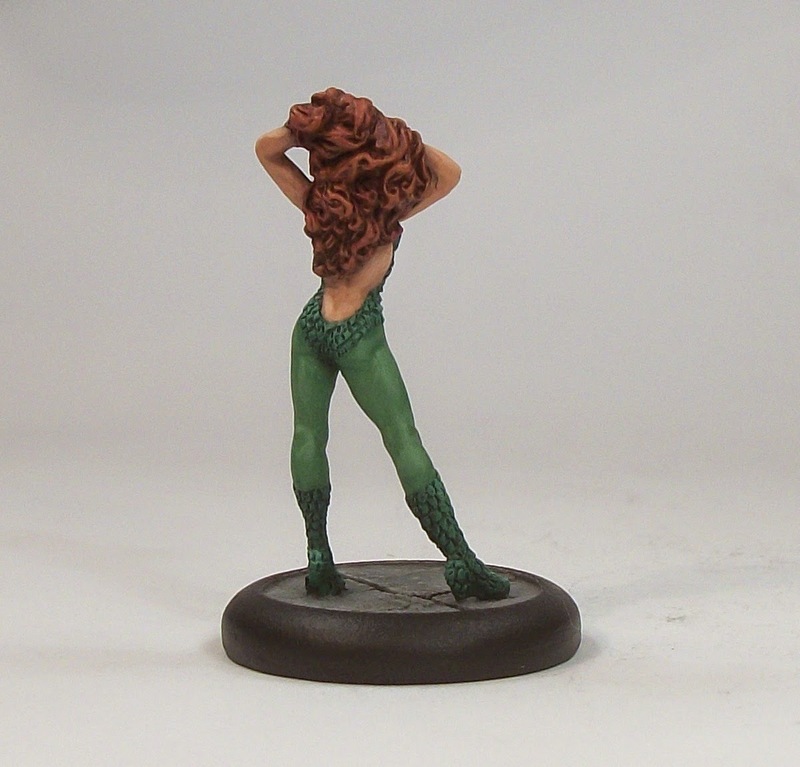 From the BMG Leaders I had available, Poison Ivy had the easiest colour scheme to tackle with 4 main colour choices (hair, two costume colours, flesh), therefore seemed the best option in terms of fitting with the models I have. The nice simple colour scheme was a pleasant experience in terms of making this a quick-to-finish mini (at least by my usual slow standards). I am having a fairly good start to the year. I plan to use Solomon Grundy as one member of her crew (for durable muscle), and maybe the Riddler too, although I am hoping to paint Deadshot instead (and have made a start on that mini; my understanding is he is a very useful and cost-efficient ranged option). I have decided against using Clayface due to his stupidly unbalanced base positioning; I have said it before, but I feel Knight Models should have opted for 50 mm bases for some of their bigger models, but that is by the by. I will have to paint some Henchmen too in order to fill out the ranks, so will tackle some Plants and a couple of Prisoners very soon since I can cut down on painting time by doing stuff simultaneously. 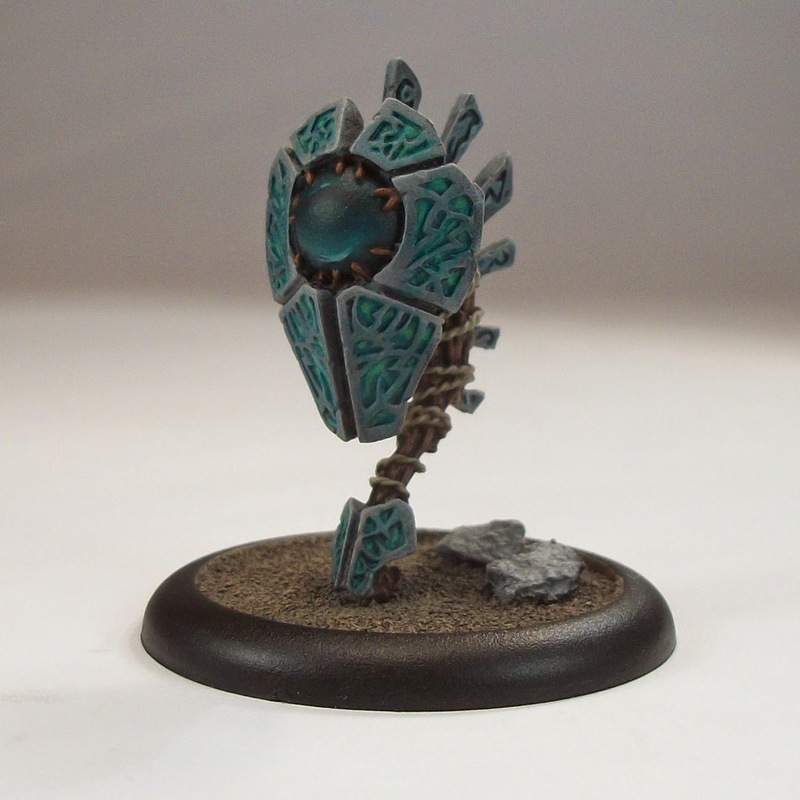 I have also been doing some painting on Objectives. The next thing for me (alongside more painting) is getting to grips with the game, and I have the hard-copy on pre-order. 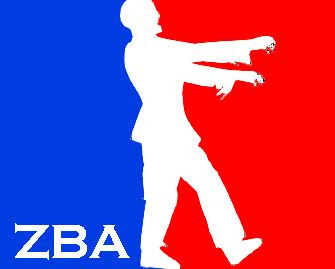 I hope to get a couple of games to practice before the tournament day, but time will tell (and willing opponents!). I will be looking at online resources to help, such a the Cheaphammer blog which features head-to-head gaming comparisons of key models. My next Circle Orboros minis are finished (after the Woldwyrd), and although they are super simple, I am glad they are done as they have helped me get some momentum both toward 2015's painting total as well as my Circle Orboros force. I am hoping to paint at least 4 minis per month this year, so I am on target in month one! In game terms the Shifting Stones allow the player to move their force around with greater freedom, and from doing some reading have a little bit of a learning curve to get the best out of them. The reason for tackling some easy pieces so early was simply to allow me to 'get stuff done' so that painting to a small 15 point force (as a start) would not feel too daunting. With the Shifting Stones and Woldwyrd, I am roughly one third of the way there as my first planned Warlock adds 5 points to the force. So basically I need to paint up more 13 points from the stuff listed below. The likely combinations to tackle first then are either Baldur, Woldwarden, Totem Hunter and Feralgeist, or Baldur, Megalith, Stone Keeper and Feralgeist. And so begins a new 'project'! After years of contemplation, I have decided to enter the gaming worlds of Hordes and Warmachine. Over the years I had acquired a few Privateer Press minis for other projects that never came to anything. So late last year I decide the time was nigh, mainly as it should be easy to get Warmachine/Hordes games within my local area, and wanting to get more gaming in. I quickly settled on two factions I would like to build gaming forces for, Circle Orboros and Cryx. Of the two, I figured it would be quicker and easier to get started on the Circle, so the decision made itself. After seeing the Bradigus (Warlock) mini that set me on a course of wanting to do a Wold themed force. The Circle are druids in the WM/H world, dedicated to the Devourer Wurm, the primordial god of chaos and the wild, destructive aspects of nature. Among the resources that the druids of Orboros can call on are the various Wold Constructs, entities of stone and wood infused with magic. I love the aesthetic, so decided that was the way to go rather than the animal beasts like wolves and griffins that are also available. This piece - the Woldwyrd - was chosen as my first model for the force instead of one of the more humanoid Wolds because I felt it would give me the basic template for how I would be able to approach the various non-druid models in the force (incorporating the recurring textures of stone, wood, rope and gem), and it would be fairly quick to turnaround, which thankfully it was. I changed my painting style a little in so much as I went a little more basic since I am really aiming for a tabletop gaming force to be completed pretty quickly. 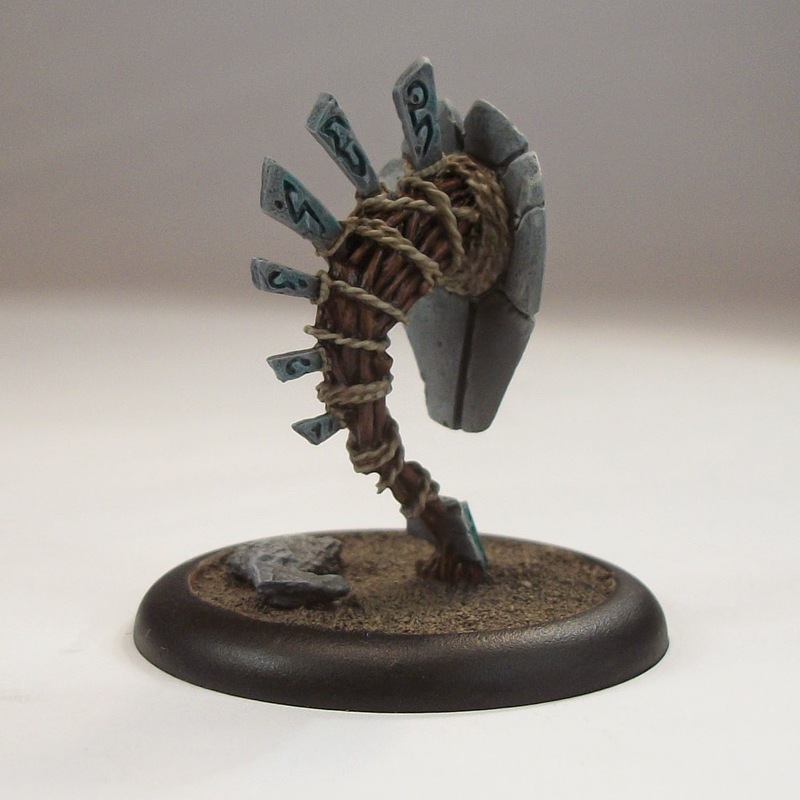 While painting the Woldwyrd, I finished my first unit too, so watch for that in the next few days. I hope to get a small gaming force of 15, then 25 or 35 points finished bit by bit over the next few months.